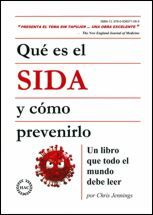 « Why did the Soviet KGB blame the American CIA for creating HIV? The situation with the African HIV / AIDS epidemic is analogous to that of the global finance crisis. Thousands of diligent people are investing money, effort, heart and soul into a false conceptual paradigm, while a small number of people aware of the situation are unconscionably reaping financial and professional rewards. Relative to HIV / AIDS, the false operative paradigm is that HIV / AIDS is devastatingly epidemic in Africa. This false paradigm is causing the misdiagnosis of millions, who are taking drugs they don’t need, and precious public health resources are being misdirected away from the primary killers in the third world, namely, tuberculosis, pneumonias, and diarrheal illness (i.e., intestinal infections). Overall, members of the pharmaceutical and diagnostic industries are both unwitting benefactors and risk-takers of this conceptual paradigm, but not its creators. Rather, the inflated estimates generated by computer models in Geneva are responsible along with decisions transpiring within political realms. Nevertheless, as the invalidity of this paradigm grows more evident, not only will income streams and the value of compounds diminish, industry will be unduly painted with blame, as they are the most visible recipients of revenues fed by philanthropy. A full deconstruction of this paradigm is beyond the scope of this article. 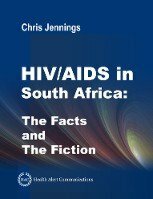 Rather, this article cursorily presents HIV / AIDS statistics belonging to the Republic of South Africa (RSA) and false assumptions input into the computer models that generated them. The Republic of South Africa stands as the statistical exemplar for the HIV / AIDS situation in Africa, and perhaps in other tropical, indigent populations across the world as well. The RSA reportedly has the largest HIV / AIDS epidemic in the world . Few people realize that the familiar HIV / AIDS global statistics are actually estimates. For example, UNAIDS estimated that the Republic of South Africa had 360,000 HIV/AIDS deaths in 1997  However, after tabulating all death certificates for 1997, the Republic of South Africa attributed only 6,635 deaths to HIV / AIDS . One problem is that epidemiological models incorporate a misconception about the HIV incubation period. At the outset of the AIDS epidemic, the Centers for Disease Control (CDC) actively tracked and interviewed patients, and determined that HIV incubation averaged 8 to 18 months . Danish physicians reported similar findings . Fifty percent (50%) of these patients died within 12 months of manifesting opportunistic infection. 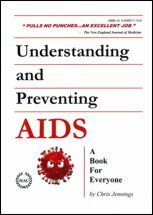 Therefore, among adults, the first wave of AIDS deaths should occur 20 months after infection, not 10 years as currently conceived, thereby changing the distribution curve. Incubation among infants born with HIV infection was “several months.” Infant survival after birth averaged 9 months. Once the scale of the epidemic moved beyond the feasibility of individual tracking and recording, investigators began modeling incubation, survival, and seroconversion rates among cohorts of gay men. However, these models are only partially based on raw data, they also incorporate estimated and imputed values [6–10]. Contrary to popular thought, there is no large database of raw empirical data detailing incubation for hundreds or thousands of patients. Rather, the incubation periods imputed into the computer models are estimates themselves. The models applied by WHO / UNAIDS induct a 9–11 year survival period following HIV infection as mean. Such longevity might be feasible for patients receiving effective treatment and / or prophylaxis for HIV infection and / or its consequent opportunistic infections, even prior to the implementation of HAART. However, such prolonged longevity among the millions of indigent Africans purported to have HIV infection, in absence of effective treatment and / or prophylaxis, seems highly unlikely. Therefore, in the Republic of South Africa, one should expect comparable patient outcomes, particularly since the greater majority of the millions of indigent Africans purported to have HIV infection lack access to effective therapeutic and / or prophylactic drug regimens. Given 2,900,000 South Africans with HIV infection in 1998 (per UNAIDS estimate), at least 1.1 million (38%) or so should have died by the end of 2002. The period from 1998 to 2002 is four years – allowing for a 2-year incubation period before the development of opportunistic infections. Once opportunistic diseases have appeared, approximately 38% of these AIDS patients should have died in the following 2-year period. Even allowing a mean 11-year survival period, the upper level inducted into the computer models, a substantial cluster of these people should have died by 2008. Yet, the RSA tabulated a total of 136,000 HIV/AIDS deaths for 1997 – 2008, inclusive. Chris Jennings is an independent HIV/AIDS Analyst, and medical writer serving the pharmaceutical, diagnostic, and analytical industries. Relative to HIV/AIDS, he served as a Preferred Vendor to Bayer Diagnostics, Bayer Healthcare LLC (Tarrytown, NY), and has composed HIV assay specification sheets, written about the juxtaposition of the HIV assay in the diagnosis and clinical management of HIV infection, and assay architecture. For pharmaceutical clients, he composed clinical trial reports for several antiretrovirals and compounds versus opportunistic infections. 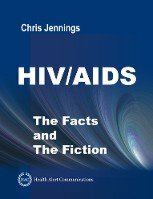 He also wrote and published 2 trade books on HIV/AIDS that were adopted as educational texts by world-renowned hospitals, federal, state, and municipal health agencies, and nursing schools, public health schools, and universities.